This gorgeous polish takes inspiration from The Dude and his super chill living room Tai Chi session. My thoughts: If you're looking for a neutral with something extra, look no further. The base color is one of those tricky shades that rides a fine line between purple, grey and taupe, but I think it will compliment a wide variety of skin tones. Because this color tends to look or photograph differently depending on lighting, I chose not to edit my photos at all, so you can see that it sometimes leans warmer or cooler. They're all color accurate in my opinion. The formula is great as well. Easy to apply and good flakie distribution with every coat. The last three photos show it with matte topcoat. 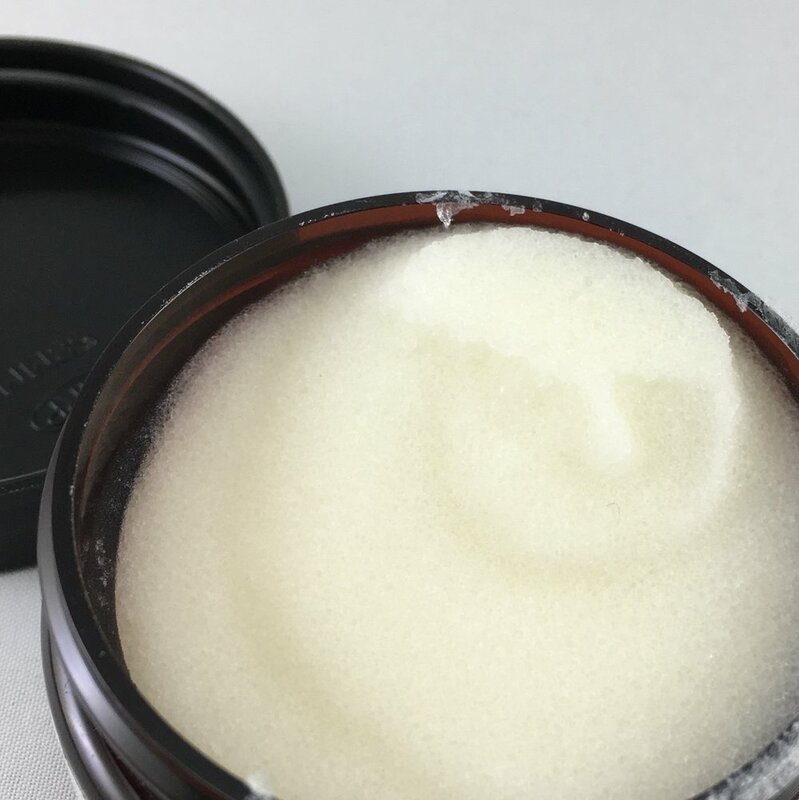 My thoughts: If you've read my previous reviews, you know by now that I love Stella Chroma's sugar scrubs. The texture is excellent and they exfoliate while moisturizing with just the right balance. To me, this scent is mostly just warm and sweet. I don't pick up on the coffee notes as much, but it's subtle and comforting either way. I also included a photo of the handy little seal that this product comes with, so you know it's fresh and intact when it arrives. You can purchase "The Whole Brevity Thing" nail polish and White Russian sugar scrub on the Polish Pickup website starting May 4th at 11 AM EST through May 7th at midnight EST.